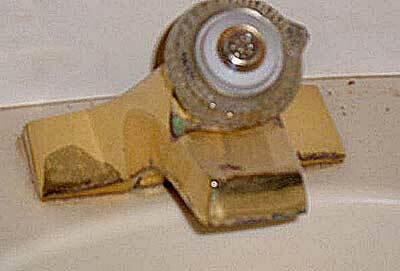 As you can see, the head faucets are tarnished and worn. The push-pull mechinism is very difficult to operate. These faucets will be removed and replaced with a faucet from MARINER, adding function and elegance. 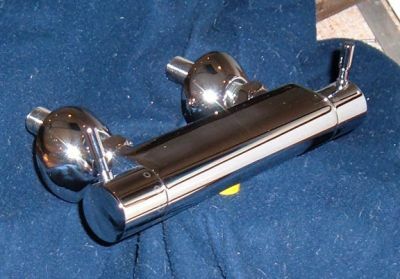 This is the Mariner Thermomix shower faucet for the guest shower. The handle on the left controls the amount of water flow. The handle on the right has temperature markings so the desired setting may be dialed. Determine the temperature that is right for you and never fuss with it again. This is the epitome of convenience and luxury. We intend on installing the shower/bath combo faucet in the master head, too.